This is a project that I did before Christmas and didn’t get it posted in time, however it’s perfect for Winter too, so here you go! 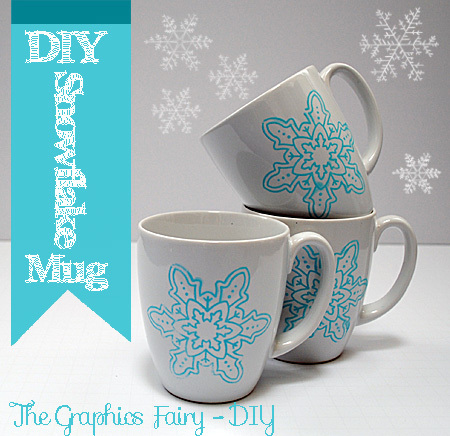 This is a fun one for adding a little interest to a plain mug… or a set of mugs, like I did here. You may have some of these in your kitchen cabinet already, but if not they are pretty easy to find in most thrift shops. 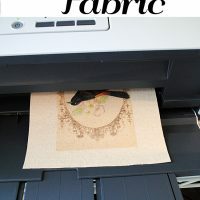 Once again I used the Martha Stewart Adhesive Silkscreens from Plaid. 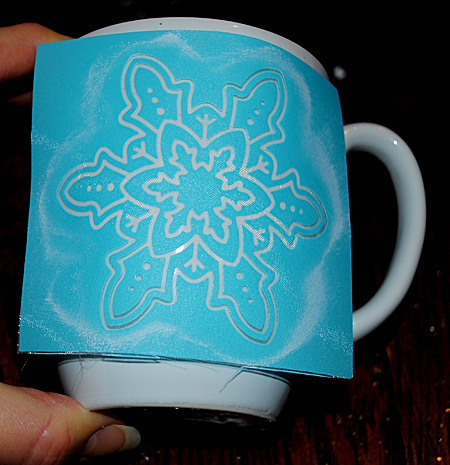 I used snowflakes, but you can use whatever design you like. 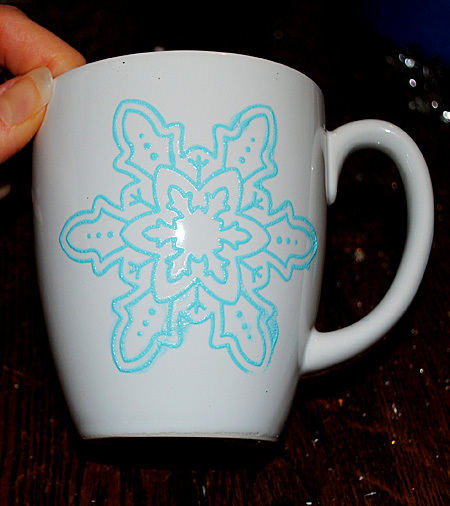 1) Plain white Mug or Mugs. 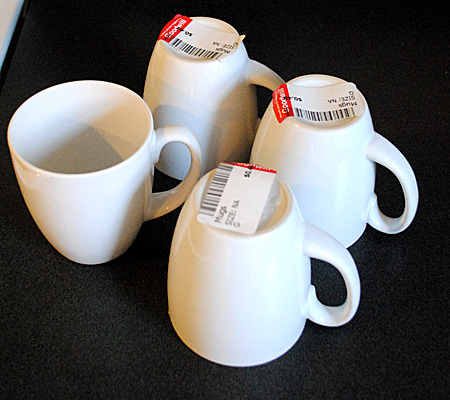 I picked up 4 matching white mugs at Goodwill. They were .45 cents each. Cheap! Yay! 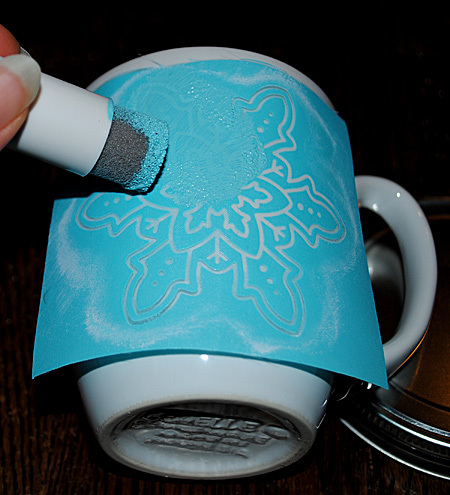 Step 2: Using a foam pouncer, apply the paint over the silkscreen, and lift off the silkscreen as soon as you are done. Um.. that’s pretty much it!! It could not be easier right?!! Just let it air cure for 21 days, or if you’re in hurry you can bake it in your oven, according to the instructions HERE. 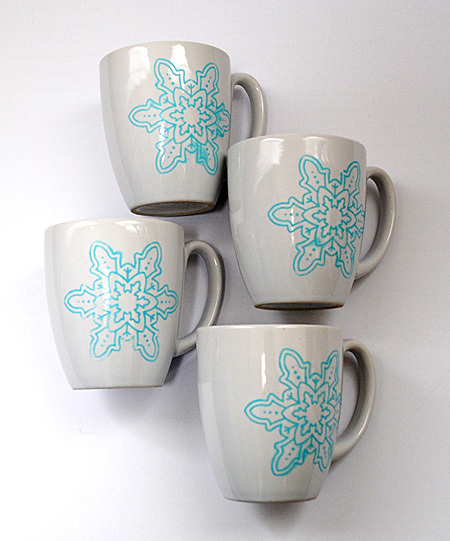 Now I have a set of fun and cheerful mugs, ready and waiting for some Hot Chocolate! This would make a cute gift too, and so easy that the kids could help make them for a favorite relative or teacher.You can even wash them in your dishwasher on the top rack! I love this and so simple! They would make a super cute gift with a hot cocoa packet and some candy canes. Love! Thanks Kristi!! Yes, great idea! Wow – not seen these stencils. These are fab, love the colour too. 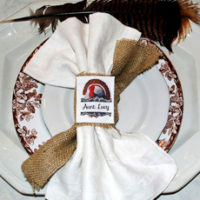 Hi Lisette, I’m glad you like them! There are so many pretty ones to choose from, I wish I had all of them! Thank you so much! I have been reading about being able to do this-I appreciate the tutorial! They turned out great! You’re welcome Katie! Thanks for stopping by! 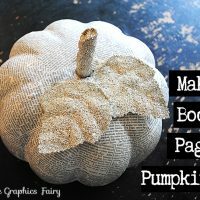 Super easy and so cute! Thank you for sharing this! What a great gift idea for next year! Thanks so much! I have some gifts I need for January…so now I know! 🙂 Thanks for the tutorial! Simple and easy idea! 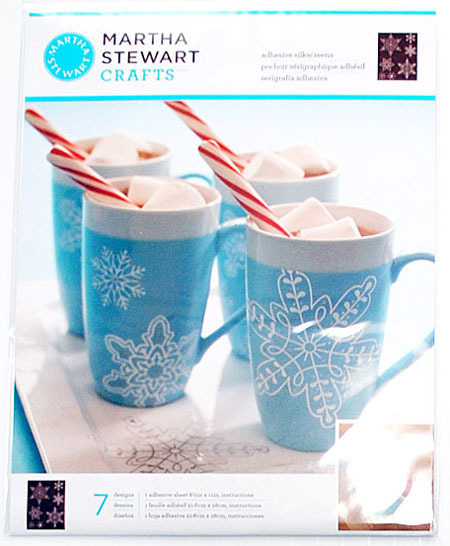 You could use any small stencil and it is so inexpensive for a nice set for a gift. Hi Angela, Yes so true! How pretty is that?! I love this idea, thanks for sharing Karen! Thanks Jo! Happy New Year to you too!